In the future that awaits us, buildings will be less of a "roof over our heads", and more places that are vital to our health, our personal and professional relationships, our well-being and the one of our planet. As such, they will become more than just buildings - they will increasingly become environments in which light, temperature and water will be used with greater intelligence and a increased sense of responsibility. In such a scenario, our mission is to become a leading company in the production of components and systems that use water to produce comfort, to manage water usage "in situ" and to extinguish fire. All of this with a strong green attitude. 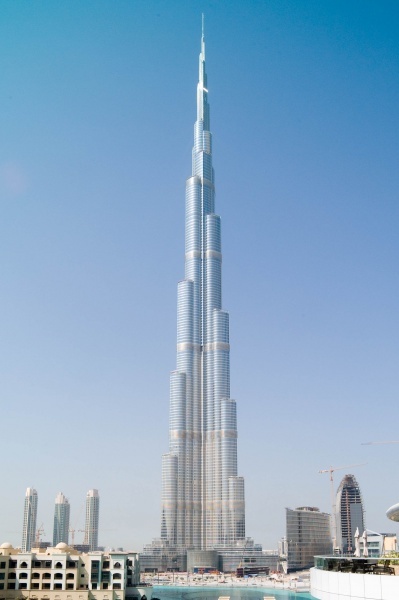 Standing more than 828 meters tall - more than 2,700 feet - and counting 160 floors, the Burj Khalifa is the tallest man-made structure to date. It breaks all Guinness records: tallest tower, highest number of floors, highest elevator, highest panoramic platform... The skyscraper is the perfect example extreme applications for our products and systems. Giacomini is inside the skyscraper with our Fire Protection range. THE CUSTOMER: Our customers is the center of everything we do. We strive to offer them the best, most useful and up-to-date solutions. Day in, day out - this is our work. THE PRODUCT: We are a manufacturing company. Our factories are "our heart". We work from raw materials with craftsman’s passion and skill, to create useful things for people and for society. Because of this, quality and innovation are our everyday mantra. PROFI:. Without profit, there is no business. At the same time, though, there is no company without a sense of belonging. This is why we believe in pursuing sustainable profit: revenue and margin growth, keeping in mind environmental and social sustainability. PEOPLE. People are our most valuable resource. Passion cannot be measured, but it makes the difference between doing things badly or doing them well, between artlessly performing a task or pouring oneself into going beyond the goal to find a better solution. Passion is the factor that differentiates mediocrity and excellence. This is why our people are the key asset in our budget. A total of €163 million in revenue, more than 80% coming from foreign markets, with 3 Italian production facilities, 17 international subsidiaries, 950 employees and 70 tons of brass processed each day. These are some of the most important numbers about our group - we rank among the world leaders in the production of components and systems for heating, cooling and water distribution in homes, offices, industrial and commercial buildings. Giacomini is based in San Maurizio d'Opaglio, in the province of Novara, where our offices and production sites carry out their activities. We have branches in Germany, Belgium, France, Spain, Portugal, UK, Switzerland, Canada, China, Argentina with a division in Brazil, exclusive partners in the Czech Republic, Slovakia, Turkey, Jordan, India and a representative office in Russia.